I've been keeping my hair in Bantu knots since the week before last. I moisturize and seal my hair every few days with Cantu Creamy Hair Lotion or water and Coconut Oil. 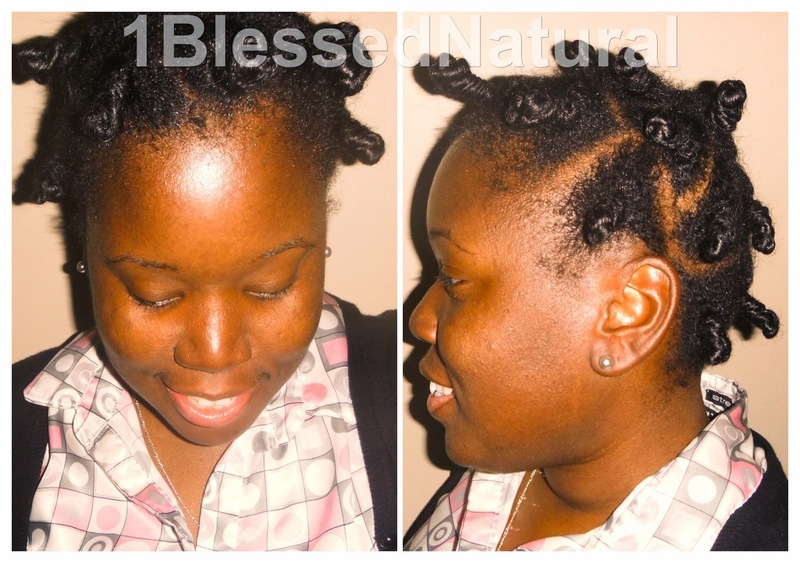 I love the knots because I do not need to moisturize and seal my hair every day. I can also take them out for a Bantu knot- out. If my hair is loose, I will moisturize and seal my hair once in the morning and once at night. Sometimes, I finger detangle my hair to remove all of the shed hair. This is important especially when you are handling fine natural hair because the shed hair can get tangled around the healthy strands. 1. Sections: I wash my hair in 4 sections. The sections make it easier to handle my hair. 3. Shampoo: After rinsing my hair, I shampoo with Aunt Jackie's "Oh So Clean" Moisturizing and Softening Shampoo. Because it gives my hair and scalp the right amount of moisture, my scalp itches less. 4. Detangle: I detangle my hair (with a wide-tooth comb) with the Aunt Jackie's shampoo on it. 5. Deep Condition: The Almond and Shea Butter Suave Conditioner is applied to my hair. Then, I put on a conditioning cap and heating cap for 15 minutes to 1 hour. 6. Detangle: My hair is detangled once again before washing out the shampoo. 1. Style choice: I style my hair while it is damp or wet. 2. Products: detangler or leave-in conditioner: I apply Aunt Jackie's "Knot On My Watch" Instant Detangling Therapy and run the comb through my hair again. Oil: Coconut oil is applied to my hair, especially my ends to seal in the moisture. If I do not feel like styling my hair after a wash, I will twirl my hair up into the 4 sections and clip them until the next day. I'm happy my hair is getting longer. My short term goals are to keep my hair stretched, moisturized, and detangled. I will also trim my hair as needed. 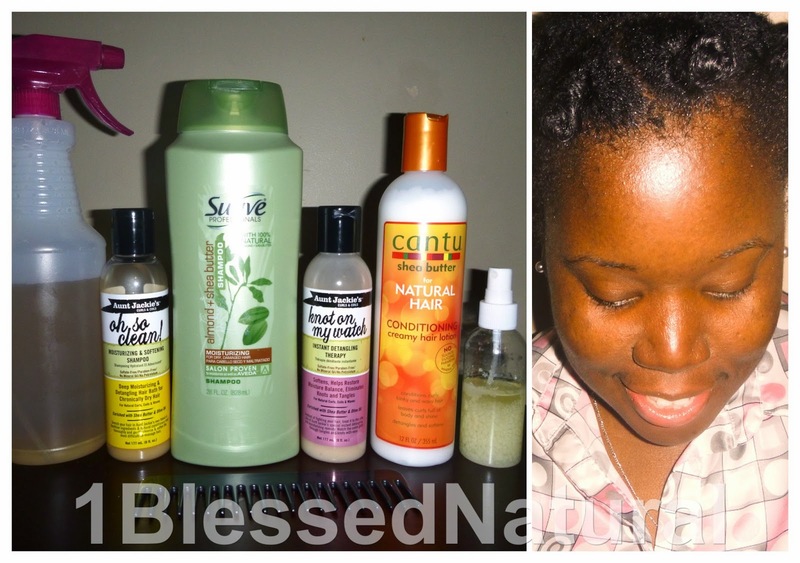 These practices will help me maintain my goal of healthy hair. Related Articles: Product Review: Aunt Jackie's "Knot On My Watch" and "Oh So Clean!"